Widely regarded as one of the greatest voices of the soul music era, Sam Moore was one-half of the memorable R&B duo Sam & Dave from 1961 through 1981. He also has had an extensive 25-year career as a solo performer and recording artist. Born “Samuel David Hicks” on October 12, 1935 in Miami, Florida, he began his musical career singing gospel music. Moore was the higher tenor voice in the soul vocal duo. In 1961, Sam Moore helped another struggling soul singer, Dave Prater, with his rendition of Jackie Wilson’s “Dogging Around” and they started an act called Sam & Dave. The duo was signed by Atlantic Records in 1965 and they released a number of smash hits with the label, including “Soul Man”, “Hold on, I’m Coming” and “I Thank You”. While the duo created magic on-stage, Moore and Prater famously did not get along well off-stage. Sam & Dave are frequently cited as one of the most critically and commercially successful act in the history of soul music. Moore also has had a highly accomplished 25 year solo career which he began after breaking up with Prater in 1970. Sam Moore was posthumously inducted into the Rock & Roll Hall of Fame in 1992. Probably the duo’s most famous single, “Soul Man” was inducted the Grammy Hall of Fame in 1999. 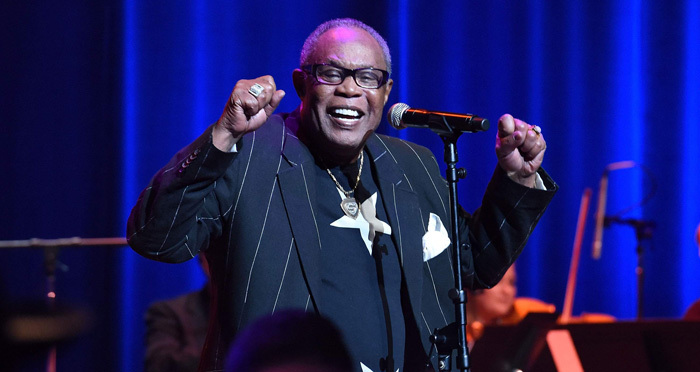 In 2008, Rolling Stone magazine named Sam Moore one of the greatest singers of the rock era. Sam Moore married Joyce McRae in 1982.